Gardening and Fitness – Can gardening really help you get fitter? 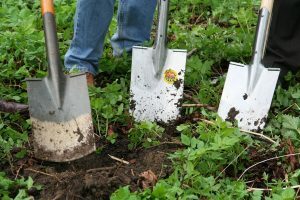 Gardening and fitness are often thought to be connected, but how true is it? There is one thing we can say for certain, gardening is still hugely popular in the UK. Whether it is related to the plethora of gardening shows that adorn our televisions, or a need to connect with nature in some ways, who knows? But according to a poll run by Waitrose, over 30% of us grow our own vegetables. And this year’s Chelsea Flower Show is as popular as ever. We are a nation of gardeners. So let’s look at the pros and cons of this pastime. The benefits of yoga have been around for a very long time. Remarkably, yoga dates back at least 5,000 years. It has its origins in Northern India. It passed through many different stages of development before it reached its modern format. Introduced to the West as late as the 19th and 20th Century, it gained real prominence when a Yoga school was opened up in Hollywood in the late 1940s. But why is it so popular today? Spine-health is central to your sense of vibrant health. The spine is an amazing thing and serves a number of different functions in the body. Of course, it is the core of the skeleton, and central to all sorts of movement. A spine that doesn’t move freely will restrict movement, and almost invariably leads to some sort of chronic pain. In addition, the spine provides stability and support and acts as a useful shock absorber. But of the utmost importance, is its role in acting as a protective channel for the spinal cord and nerve roots. All the neurological signals (except cranial signals) pass through the channel of the spine, and its health is at the center of a fully functioning neurological system. So how can you best take care of it?